Of all my brunch travels, I’d have to say this is definitely one of the quirkiest places I’ve come across. 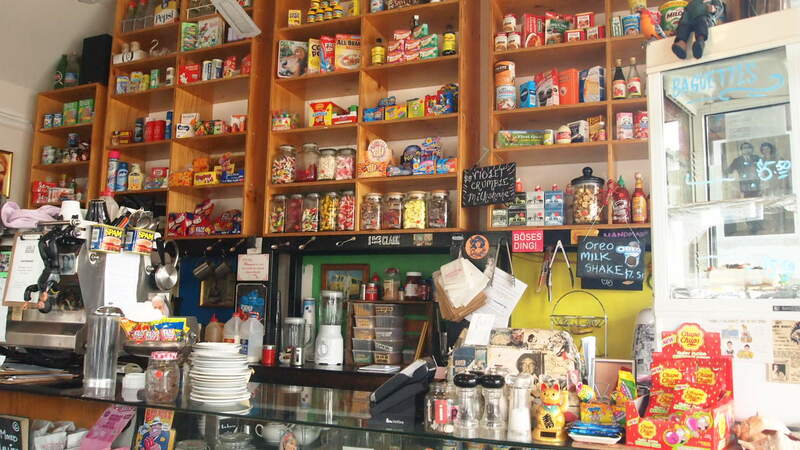 Set up like a retro corner store selling mixed lollies by the bag and a few random household goods (even a bottle of vanish stain removal), as soon as I walked into this eclectic café I literally felt like I had gone back to a time well before my own birth. 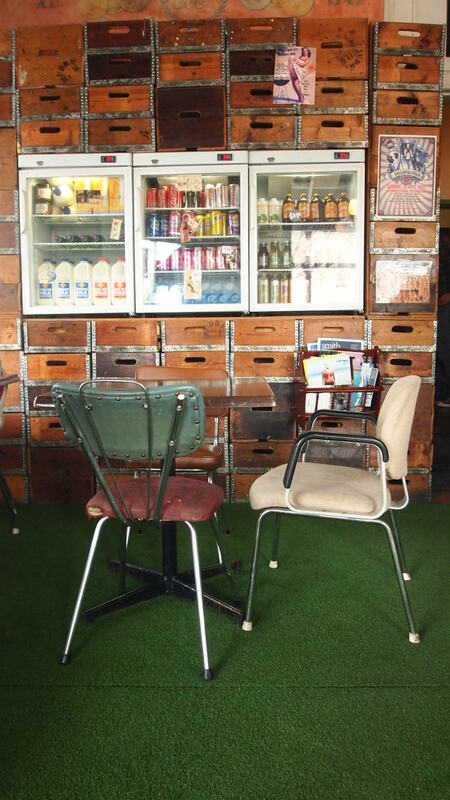 It could be the chairs and tables that looked like they walked straight out of my grandmothers 1970s dining room, or the vintage crockery, or the souvenir teaspoon, or even the astro turf lining the floor, but all of these elements together help to create the illusion that you have well and truly left North Melbourne of 2015. Know for their gourmet jaffles (there is even one filled with spaghetti) and decadent milkshakes, for the most part their menu is quite simple. 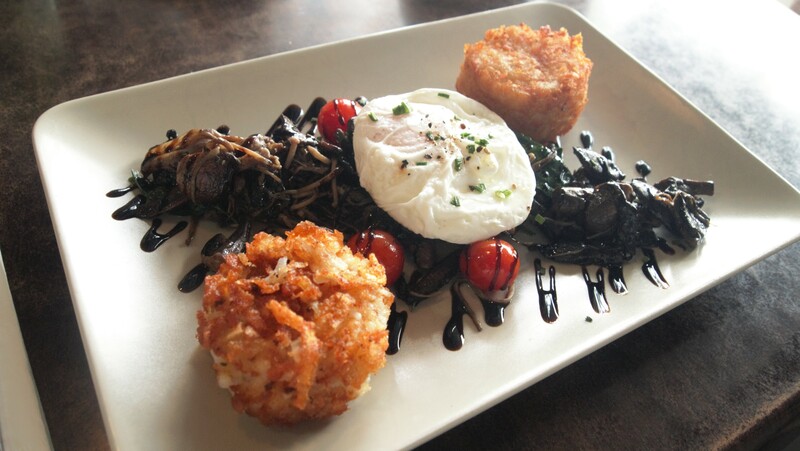 They offer you all the classics and a few fancy options, plus the ability to build your own breakfast dish. Although the jaffles look great, I decide to buck the trend and try their ‘Rosti n Mushrooms’ (two potato rosti, mushroom medley with spinach, confit cherry tomatoes, truffle oil, balsamic glaze, with a poached egg). The rostis had a really crunchy shell but were very soft and crumbly on the inside, so they didn’t hold together once cut open. Despite the fact they fell apart, they were really tasty and worked well with the mushroom that were quite simply seasoned, but were given a bit more punch with the addition of the balsamic glaze. Oh and be warned, those little tomatoes are dangerous! In my attempt to cut one open, I got squirted with a nice amount of tomato juice all over my white top. 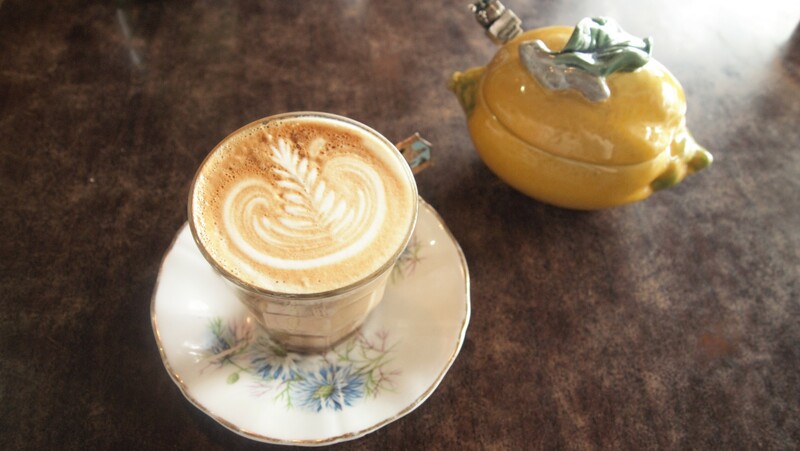 So if you’re on the hunt for a café with a difference, look no further that Grigons & Orr. It looks so cute!! Loving the 70s chairs and astro turf in that last shot!